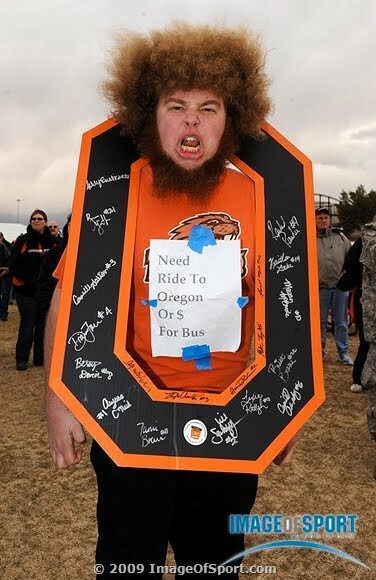 Oregon State and Brigham Young squared off Tuesday night in the Las Vegas Bowl, and the creatures were out before kickoff, roaming the tailgate area. Our friends at Image of Sport, the sports photography wire service, braved windy and chilly conditions to chronicle the festivities. There are additional images after the jump, and you can view Image of Sport’s gallery from the game by clicking here.